Individually Packed Dry Fruit – Wasteful or otherwise? For all those dry fruit connoisseurs who love prunes (dried plums), here is some food for thought! 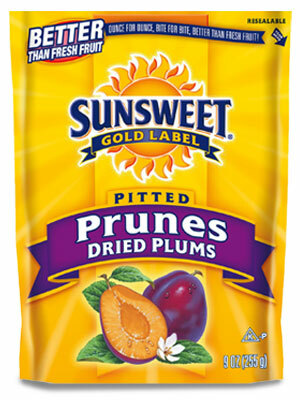 Bowel movement and overall health are a great argument when it comes to buying prunes in plastic bags. or grabbing a bottle or two of prune juice…. Manufacturers are already adding to the plastic clutter and the ocean patch, and have every reason to rethink their packing methods. 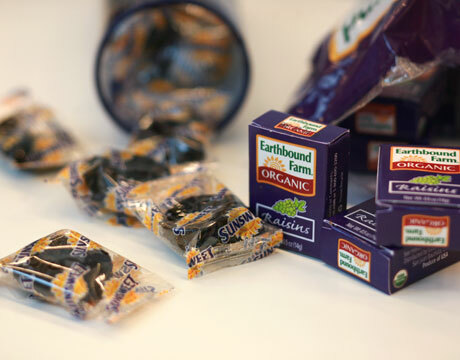 And as if existing problems weren’t enough, a genius marketing strategy session later, Sunsweet launched its individually wrapped prunes. And then put them in another HDPE container.. Seriously!, did we need more plastic in the world? All in the name of a little of convenience!.. It is sadly amazing to see that consumers do not assess the impact of their choices on the planet? 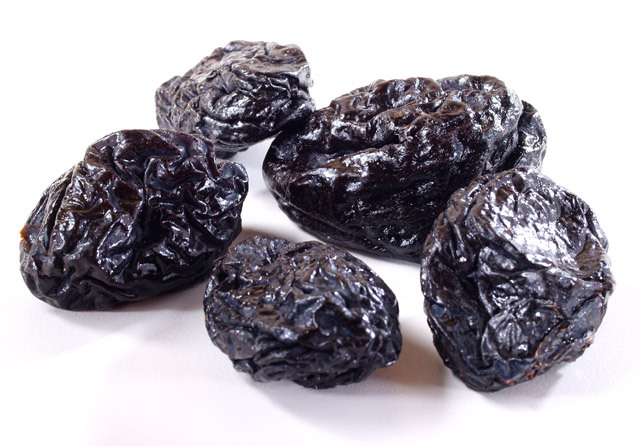 The nutritional information provided on their website, mentions eating “about 4 prunes” to equal one serving. 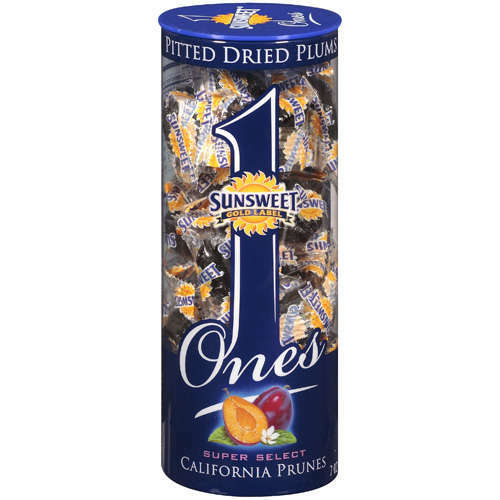 Given the fact that Sunsweet controls over 2/3rd of the prunes market in the US, higher sales figures for the single-wraps means an avoidable 3 sq inches of plastic wrap in the trash can (for every piece consumed). Isn’t it time we as consumers took action and made informed choices?. Any argument for and against this idea are pleasantly welcome. 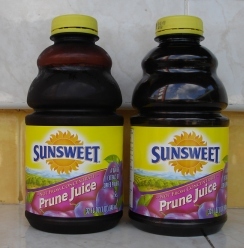 (Sunsweet is a US based food and beverage manufacturer specializing in packed dry fruit and juice). China’s Prosperity- at what cost? I see people happy when Walmart and other retailers announce SALE on their stock. These retailers conveniently dump out of season good onto customers. It is quite true that some of the products on the shelves aren’t worth the entire retail price. However, does it make sense or justify a buying, just because some product is on sale? Marketing teams do a wonderful job by making most of the consumer goods look indispensable. Over 70% of the consumer base is led by this “Buy things off season, and during a Sale “ mentality. This group of customers think only about their money saving deals for now and care less about the impact of their incessant buying habits on the supply demand economics. Given this fact, it is impossible to expect them to think in terms of the torture our planet goes through to help them meet their NEEDS. One look at the overstocked aisles in any store reminds one of the excessive consumerism patterns, such huge conglomerates promote. 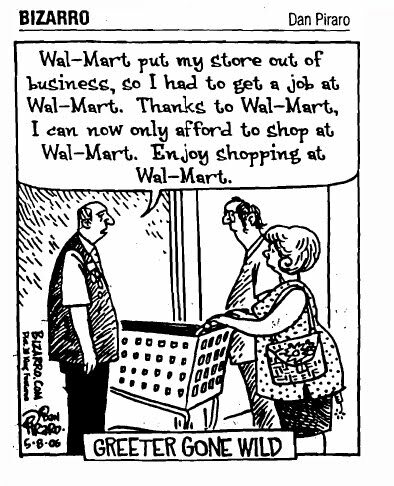 When companies like WalMart, Kroger, Publix and Whole foods talk about sustainability, it sounds like a joke and a mockery of the earth friendly effort ever proposed/ put in by a human on the face of the planet. World’s major economies survives on the health of their retail sector, no denying that. But doesn’t that mean that they need to work towards being the most responsible as well. Every retail giant claims to be doing their bit for the planet. REALLY? One look at these stores’ slogans show how tangential their business policies are to their Green claims. Let us take a look at their Punch/tag lines: Walmart – Save money . Live better; Publix- Where shopping is pleasure, Target – Expect more , Pay less, etc….Retailer talks about Saving green and never encourage customers to go green with their shopping choices. Why would they, wouldn’t that affect their bottom lines and their sales figures? Hanging a reusable bag at the billing counter isn’t helping folks!! Other than encouraging excessive consumerism, these retailer are doing nothing for the community. A classic example would be Kroger’s 10 for $10 sale. Their ads make Stocking your pantry for less seem like saving millions. As part of its green efforts, Kroger conducts a design a reusable bag contest every year. But never bothers to encourage its customers to bring in their own bags. My question – why not suggest people to get their bags rather than make it look like they want the customers to BUY a bag at the counter. This strategy makes the plastic /paper bag seem like a MONEY saving option for any average consumer.And the entire Green drama put up by the conglomerate moves backstage. Time and again, I have been putting up with arguments from people about why they should buy a reusable bag when a plastic bag is free? Right, can’t they see that they could take their own bag to the store. No one forces them to buy a reusable bag. Where do these people leave their common sense? Is it justified when educated people argue that they cant make simple choices for the better? One need not be an economist to put one plus one. It is known that every product sold across the Atlantic and this side of the Pacific comes from the Land of the Forbidden City. Every product ever manufactured may be contributing to this said country’s apparent growth and prosperity. But all this at what cost? Is it ok to ignore impact of our mindless living? These impacts are no longer a distant occurrence. We can see the aftermath of excessive exploitation of our natural resources and can no longer ignore the way our life (read health) is being changed for the worse. What would take the majority of the population to wake up?…I am yet to figure that out. Apart from doing their bit in destroying the planet and adding to the resource crunch. These retail giants kill local, small time grocery stores who could have been greener with their functioning. Not only do these small time stores go out of business, but these giant’s monopoly impacts local economic as well. All said and done, do we really need a WALMART in India? No, definitely not!!! How could I miss sharing this cartoon?? My next article is about the KING? of the retail sector who thinks that projecting a We sell cheap imagine translates to more business and money in his pocket. To hell with the environment and the drastic impact his money making conglomerate would have on the planet!!! Starbucks – Left me alone….and they say – Don’t Do it Alone!! Should we trust corporates when they say – They are on with their Green efforts?…Maybe we should not. 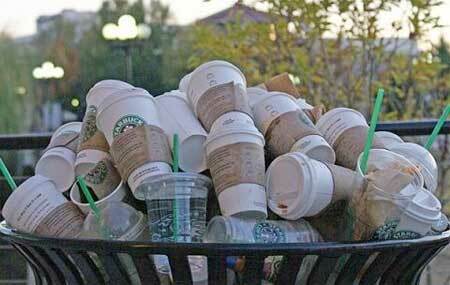 Starbucks claims that it allows customers to use their own reusable cups and even encourages green practices. Their punch line – Don’t do it alone, doesn’t seem to work in reality. Their website carries very fancy content on Green issues.But how many really bother? I was taken by their reports to promote use of ceramic and re-usable mugs and tried to take my own to one of their outlets. As a rule, if a customer walks in with a ceramic or re usable cup, starbucks employees are supposed to rinse the mug and pour coffee into it. However, I was refused to be served in my mug- The lady at the counter said that the sanitation department wouldn’t allow use of any other container other than the one sold at Starbucks!…If this is true, how would their motto to go green ever become a reality. Another report claims that Starbucks intends to reintroduce ceramic mugs and increase use of reusable commuter mugs by 2010. I did not know that they offered a $.10 discount to customers who bring in reusable mugs. If all this was true, why would I be refused when I make a conscious effort to carry my mug for my drink? Starbucks stores use billions of disposable plastic and paper cups, this means an enormous usage of natural resources and energy and then cups land in the landfills and the ocean. The Company claims that their cups contain 10 percent post consumer recycled content. And that, according to the company is estimated to save tens of thousands of trees, half a million gallons of waste water, and several million pounds of garbage. And Starbucks claims to be the pioneer in promoting recycled cups in the beverage retailing industry. Did you know that FDA (Food & Drug administration, USA) does not support use of recycled material in food retailing industry? Another very important aspect in terms of recycling – Paper cups lined with wax /plastic to hold liquids cannot be recycled in most recycling plants/systems. I am really not sure if Starbucks can ever achieve its target of making all of its cups recyclable by 2012. Corporate GREEN team says that the company is requesting its customers to bring in their own reusable cups or tumblers in order to meet their recycling goal set for the year 2012. Frankly, I am yet to see one single customer buying his or her coffee in their own mug! So in which part of the world are they pushing their Green ideas then? 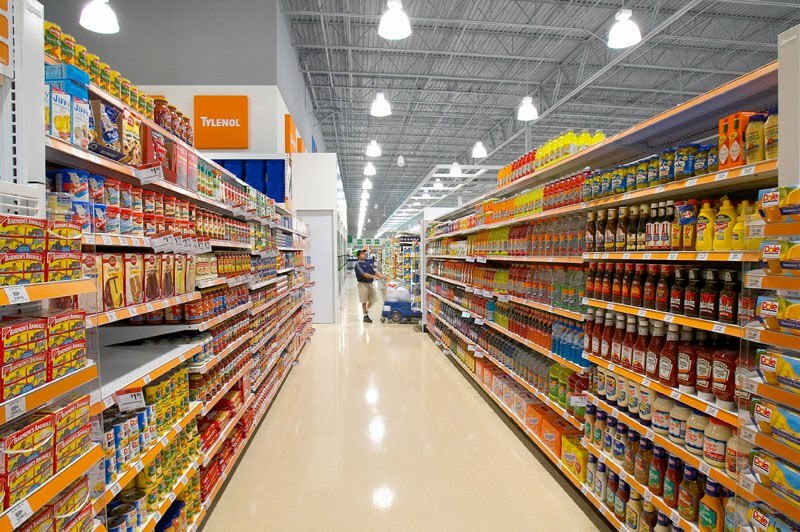 With over 16,000 retailing locations, it is difficult to claim consistency in their efforts. It is definitely difficult for a company with so many globally disperse franchisees to efficiently and effectively implement a recycling strategy. The least they could do is to support conscious consumers like myself. Although the company seems to have started offering discounts to consumers who bring in their own cup since 1985, how come we do not see anything happening on that front? Isn’t the non green population just living to save money or just Enjoy their life?…I am sure if they were given a chance to save a few cents… at least a few of them would oblige to bring their own mugs (for the amount of coffee consumed in the world, specially in the US) It would make a significant difference in terms of number of disposable (plastic and paper) cups used. What amazes me is that the consumer who is aware that he should not buy hot drinks in a plastic cup refuses to think one step beyond and reduce use of paper cups. Starbucks claims that in 2009, over 26 million customers brought their own tumblers for their cup of Joe…(really!!). This means a meager 1.5% shift from use of disposables and that translated to saving a whopping 1.2 million pounds of paper from being consumed. 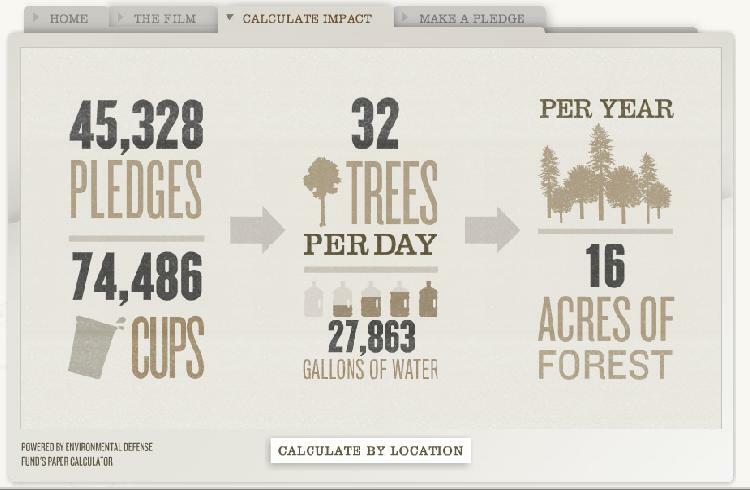 If this was true, imagine the amount which goes into the landfill due to the million of cups still being used…phew! !…Do you really think you cant make your own cup at home or at least carry your own mug to the café. The least you could do is to choose using their ceramic mugs and have your coffee in store and not bother walking around the mall with your fancy disposable cup. Another very important aspect of this Industry has not even been discussed yet – The coffee Growing /processing industry and its impact on environment. That makes an interesting topic for a new article altogether! Think before you THINK it is HEP to go to a Cafe and order your coffee in a disposable cup. Think of going green with your choices and let the planet remain habitable! I was forced to take a hiatus from the blogarena, I was busy making my doctors richer! :). I am back with my take on the processed food industry (not again!!). 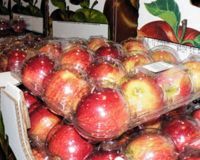 The number of products on the super market shelves and the never ending series of new product launches will keep green crusaders busy for a long time. This post is going to be all about fruits in a plastic container. 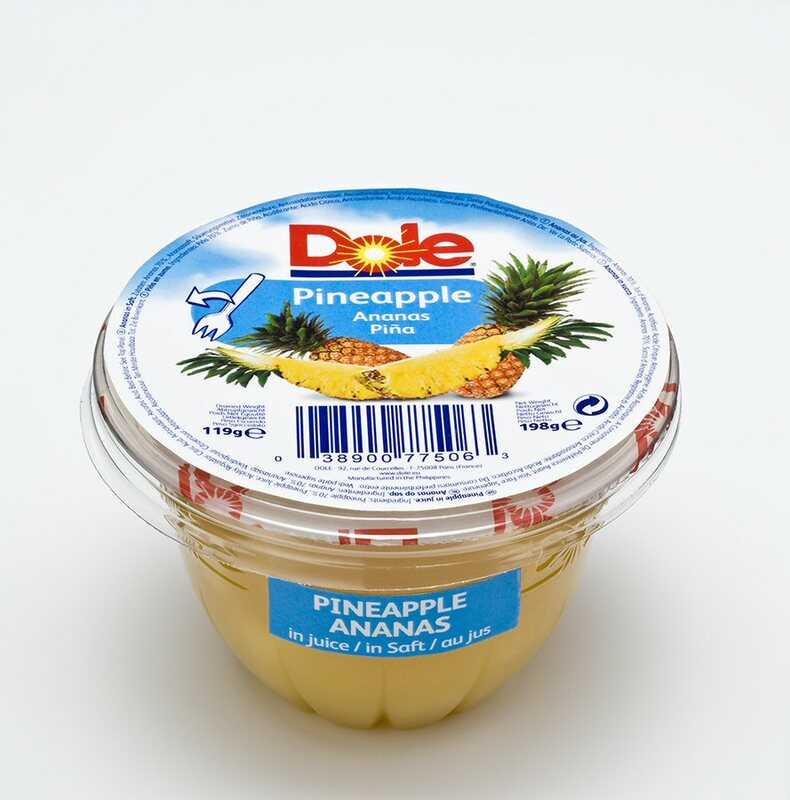 The product: Fruit (with or with out a syrup base) packaged in plastic containers. (I restricted the scope of my product choice to explain the associated issues better). It may seem very normal and innocuous on the surface. All the talk about pre-cut, packaged fruit being a matter of convenience and a time saving option tempts normal mortals into buying them. Exemplary advertising techniques make these products look oh-so-appealing. An average city bred consumer would not bother about amount of processing and packaging which translates into this “convenience” for them. It is really painful to see the number of people missing out on the energy and resources being drained out on an industry which need not exist. Producing some thing for the sake of creating jobs may seem like a stroke of economic genius, but long term costs on the environment weigh too much compared to the short term economic growth. Corporates focus on production, new product lines, sales figures and “creating wealth for the share holders” …REALLY?!! !..It is short term gains and losses which matters most to them. The management and business development teams love to speak numbers and sales graphs and their sense of corporate responsibility ends there. They are too happy incorporating “Environmental Accounting” in their Financial Accounting/System and ERPs. But why do they and we as consumers miss out on considering the bigger picture? All these product processing ,manufacturing ans retailing companies have considerable clout in the market, and can influence consumer behavior. If they think beyond filling their coffers, they can surely make a difference. Each day, millions of these plastic containers are bought, used and trashed. Every single cup ends up in the landfill or chokes drains and water sources (especially in India). This is because either they are not recyclable in the municipality or people don’t care about their trash. There should be a compulsory Trash Lifecycle Management should be made a mandatory subject in Schools and Colleges. A heavy penalty must be imposed on those who do not apply the fundamentals learnt in this class. I don’t see any other workable rational approach to the whole issue. We as consumers can make a difference, we can follow Gandhiji’s Satya Graha principles and silently stick to natural fruit (locally available and seasonal) and ban pre-cut packaged fruit/food out of our lives. This shift will force these companies to rethink their business strategy and make eco-friendly choices in their supply chain management. They will at least start by diverting resources to business ideas which translate into growth in real terms and not the “apparent” growth they are used to as of now. I have been strong with my argument that over production and excessive consumption does not mean growth. And if some one says so, then they need a crash course on sustainability management and economics as a whole. People who talk about “systems approach” at work have no clue that it extends to their regular living too! Apart from damage caused by the non-biodegradability of these styorfoam and plastic material, BPA in the plastic packaging leaches toxins (mainly dioxins) into the pre-cut food and makes them hazardous. This happens because fruits and vegetables release juices which are acidic and BisphenolA (BPA) can turn an innocent fruit or a vegetable into a pure Carcinogenic bomb! Dioxins, for example, cause a long list of health problems. According to the National Institute of Environmental Health Sciences, exposure to Dioxins leads to reproductive and developmental problems. In the kind of environment we live in today, exposure to hazardous substances is unavoidable. The least we could do is to work our way through small changes to make a big difference. We could minimize occurrence of cancer, fertility issues and other lethal and chronic ailments in our kith and kin. All we have to do is to make very simple and wise choices and there by will spare the planet of all the unnecessary trouble it is going through. The N number of preservatives, additives and colour management ingredients which go into extending shelf life of these packaged goods are no good either…adding sugar and syrups to fruits is like insulting God’s creation – Naturally sweet and yummy fruits! Please wake up, people! Plastics are killing us and destroying the environment! We do not have the time and resources to hide behind the shield of “CONVENIENCE”…it is nothing but ignorance at work. As much as i would like to stop and make these people see sense, I am still looking for ways and means to make a constructive difference. 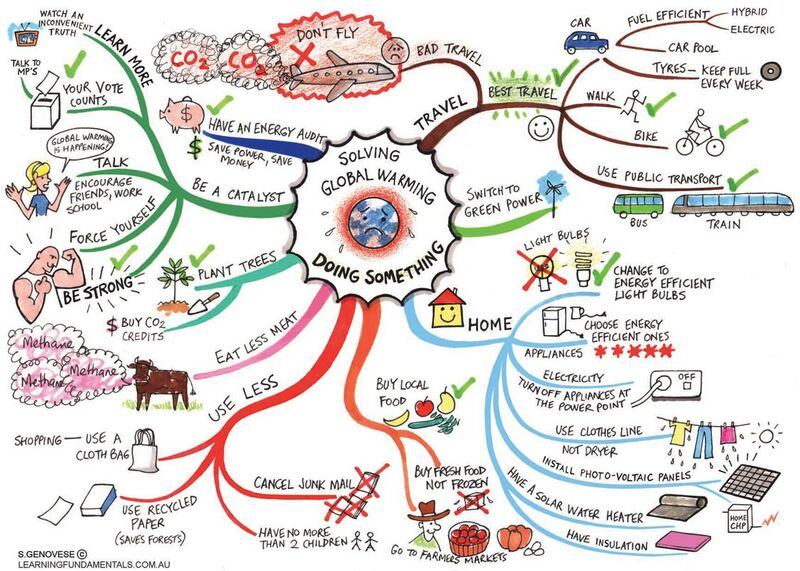 Lets see sense and make our lives on the planet better! We all know cardamom as one of the most popular Indian Spices, which works wonderfully in both sweet and savoury dishes. No payasam or kheer is complete without that dash of crushed cardamom (powder). You may wonder if I have confused my food blog with the green one…No, I have not. 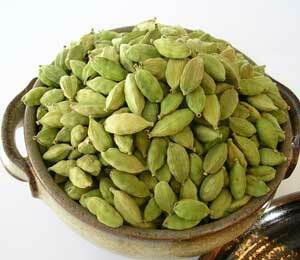 I wanted to write about use of cardamom as a mouth freshener and as a way to reduce our carbon footprint. Sounds out of syn? If you are among those who are used to munching a strip of a mouth freshener of your choice, you have just voted for the existence of at least three different industries – the Gum industry itself, Sugar processing plants, packaging industry and the transportation and retailing industry. And supporting these industries by chewing a strip of gum did not necessarily translate to over all economic growth. On a personal level, you have invited a few health issues for yourself. How you may ask! Think about the amount of sugar you have consumed (without even realizing it). This is apart from causing a decent amount of damage to your jaw (applies to frequent chewers). You also consume all the artificial colours and flavours which went into manufacturing this gum and they aren’t good for your kidneys. You have generated unnecessary garbage by disposing three layers of packaging for every strip of gum consumed. Can we forget the thin plastic film which was used to protect the gum’s “freshness” ? (If you dint know- every product packaging includes a layer of plastic, even the tetrapacks). The label printed must have had a small amount of ink that used up some resource (from its raw material to final product and shipping stage. Plastic container used to ship the ink cant be ignored). How could we ignore all the cartons the company uses it to ship boxes of the gum to dealer warehouses and to the retailers for shelving. We could explore the entire value chain piece by piece and this post would never end! All this is similar to every other consumer product, but a chewing gum doesn’t necessarily have any utilitarian value in your diet and it doesn’t really freshen your mouth. It leaves an after taste and also makes your teeth prone to germs, thanks to the sugar added to it. Even the “sugarless” variety has saccharides which is just a sugar replacement. Phew! 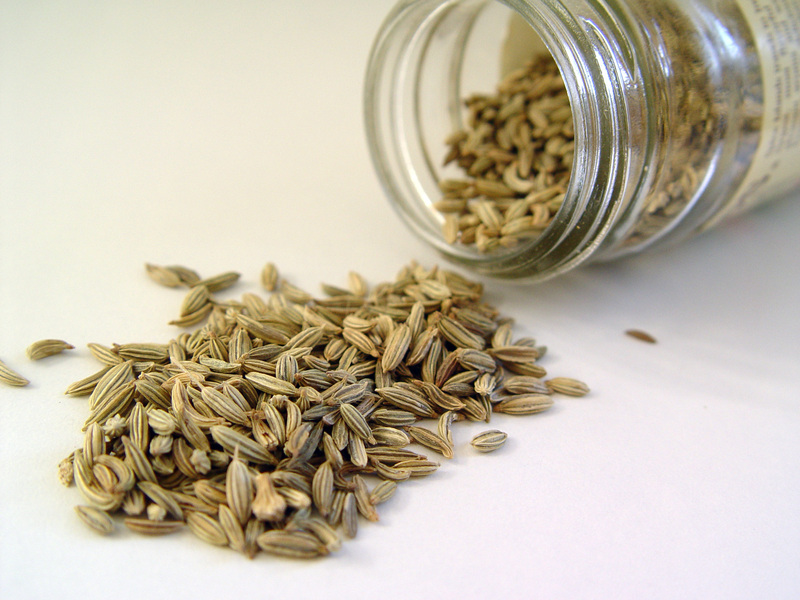 It is hard to see all this when you reach out for your pack of gum, but shifting to eat a simple Fennel/saunf or elaichi works well for you as well as for the environment. It is not a major shift to being green because of growing, harvesting, packing and shipping these spices surely has an impact on the planet. What we do by reducing our dependence on at least one processing industry is that we reduce the strain on resources by say 50%. Shifting to natural products is not a fool proof solution, but only a trade off for the planet. Not just the planet, you are being kinder on yourself. If Elaichi seems like an expensive option, then we could explore similar natural breath fresheners. Most spices such as cinnamon and clove have similar freshening effect on our breath. Clove plays a dual role by not only freshening your breath but also being good for our teeth and gums. On a lighter note…we could avoid this….